I’ve been into fountain pens for years now, but always just one pen at a time. I would either have a favourite that I would use, or have others that were just too special to actually use regularly. 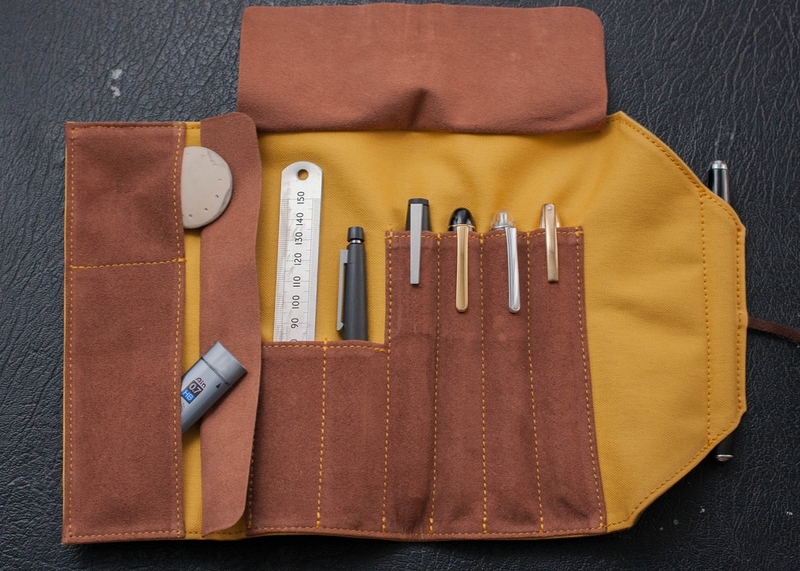 I was reading Leigh Reyes’ blog, My life as a verb, recently and saw that she uses an Enveloop pencil case for her pens. This seemed like the perfect solution to carry a few pens and keep them well protected. I am really delighted with this case. 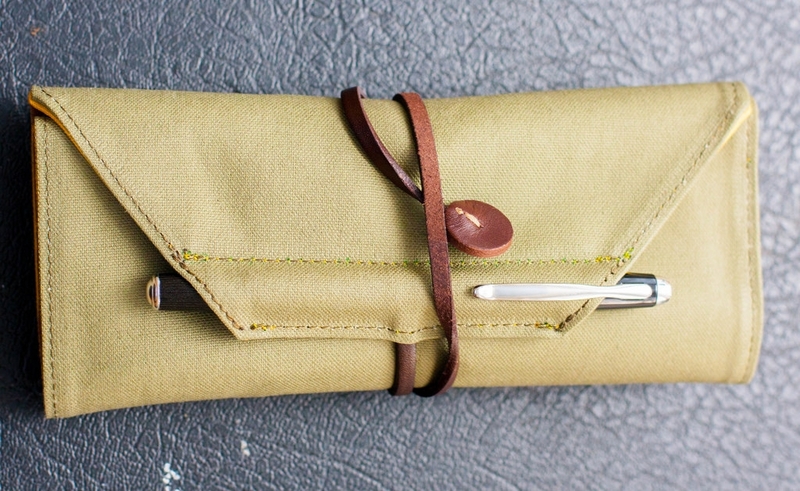 It’s well made from natural materials, mostly canvas and leather and it’s a good size to throw into a bag for travelling as a portable writing kit. I really like the leather strap to keep the case closed — like a roll of parchment. I bought this case in the hope that I would end up using more of my fountain pens and I’m convinced that plan is going to work out.